For this installment, we bring you Project Mouse (Christmas Edition) - Paper. 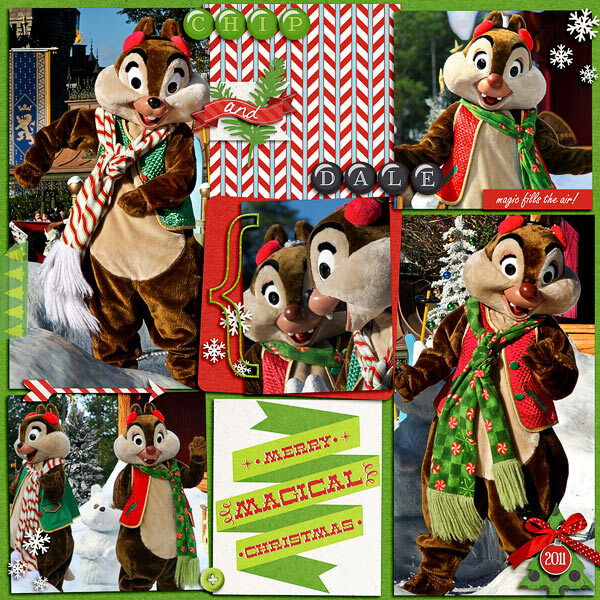 Christmas really is the most magical time of year- even more so if you're lucky enough to be spending time with the Mouse! But whether you're trying hard to juggle school Christmas plays, fitting in holiday baking, or to score tickets to a certain very merry party on Main St., the hustle and bustle of the holiday season can be tough on your creativity. 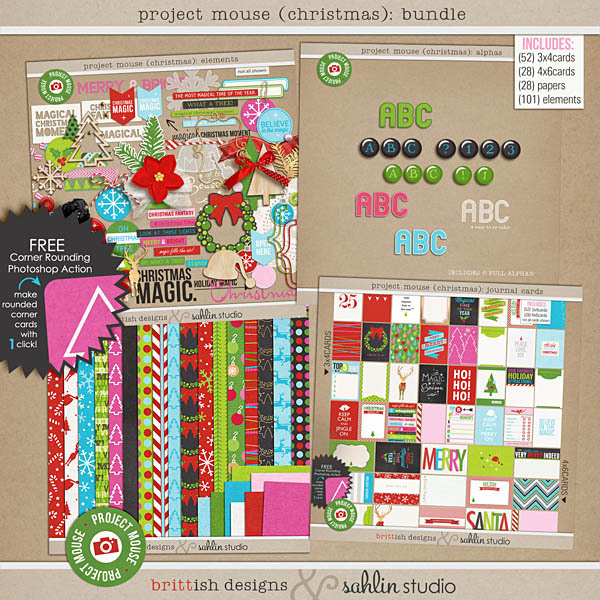 This beautiful collection of holiday themed papers is just the thing to get you back on track! 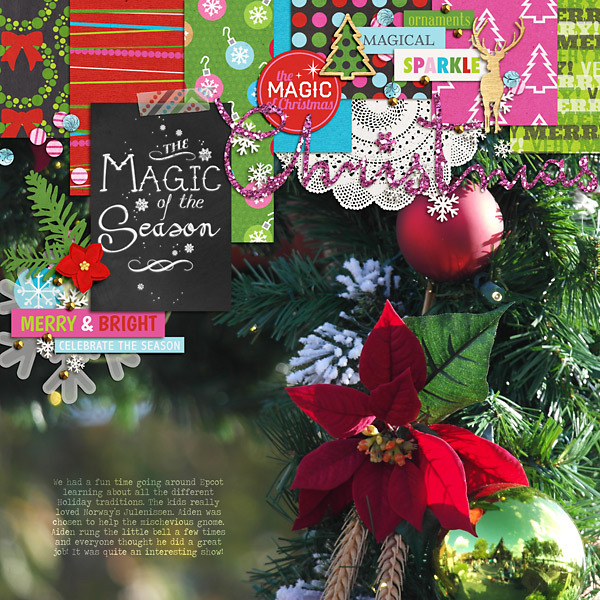 Made of bright, candy-coated colors, and featuring a fresh take on traditional christmas patterns such as wreaths, candy canes, and everyone's favorite reindeer, this paper pack is bursting with holiday goodness that will have you finishing your vacation and December Daily albums in no time! Perfectly textured, these sheets look gorgeous printed out for hybrid projects, or when layered up on digi layouts. 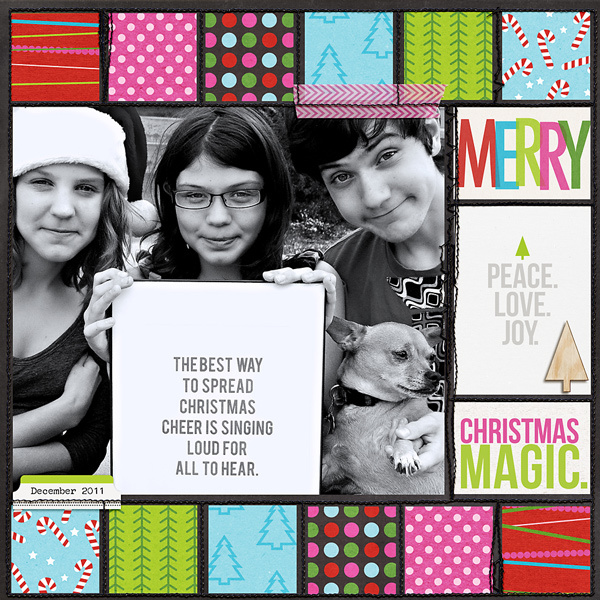 Just the thing to keep you in the scrapping spirit during the holidays!